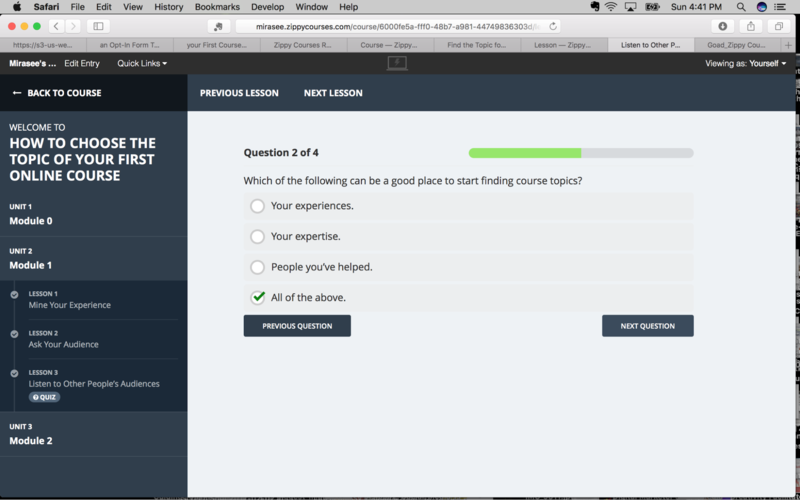 Home » Blog » Zippy Courses Platform Review: Does It Really Solve the Course Building Puzzle? 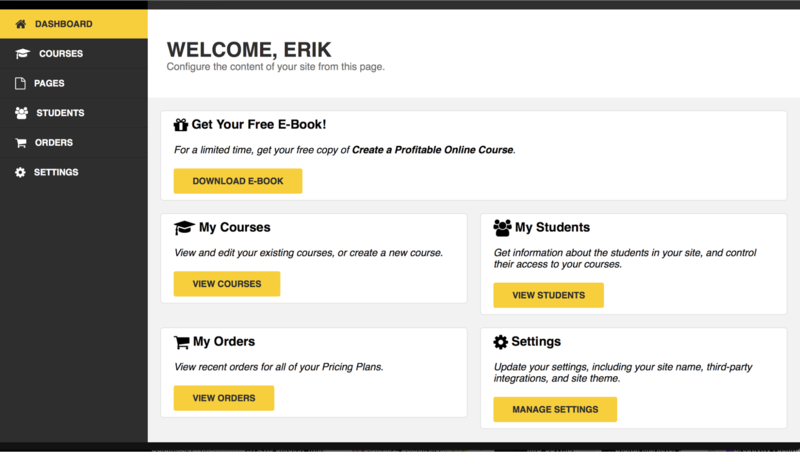 The sales page for the Zippy Courses standalone platform points out that some online course creation tools are optimized for easy course creation, while others are optimized for selling courses. My experiments with both standalone platforms and WordPress plugins, which allow you to build your course on your own WordPress website, bear this out. Most platforms make the building simple and the selling… not so simple. 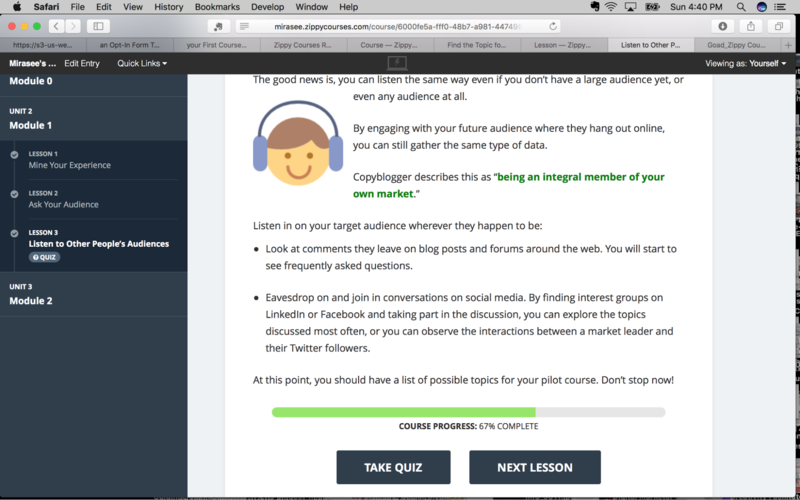 So I was excited to try the Zippy Courses platform, which promises to be the complete solution to the course creation puzzle by making both creating and selling easy. Creating my course with Zippy Courses took one hour and 40 minutes, including: creating 3 modules with 5 lessons and a quiz;setting up the welcome-to-the-course email sequence; integrating the course with my Constant Contact account; creating 3 pricing tiers; linking the course to my PayPal account; and, setting up the course sales page. Not bad, right? Especially since I was also taking notes and screenshots along the way for this review! I love the professional appearance of my course in Zippy Courses! At the Standard Level, you can choose between two appealing themes, Classic and 1K Students, and upload your logo. NOTE: Currently, the Classic theme has 5 color choices available. The one shown above is the default. The Classic theme also allows you to upload your own Header Image. If you know how to use HTML and CSS, you can create your own custom theme. At the Professional Level (which I did not test), you can further customize your course to match your personal branding. Zippy Courses automatically hosts your course site at yourname.zippycourses.com (where “yourname” is the name you choose for your course site), but you have the ability to use any domain name registered to you. Zippy Courses walks you step-by-step through the course creation process, from creating your course overview page; to adding modules, quizzes, and worksheets; to setting up your pricing tiers and payment processor; and planning the course engagement emails and integrating with your email service provider. 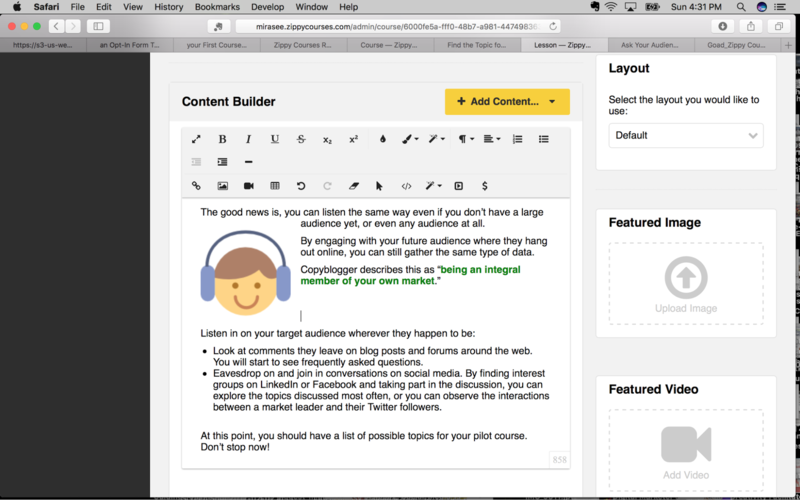 The Content Builder visual editor, which you use create your lessons, is intuitive and easy to use. 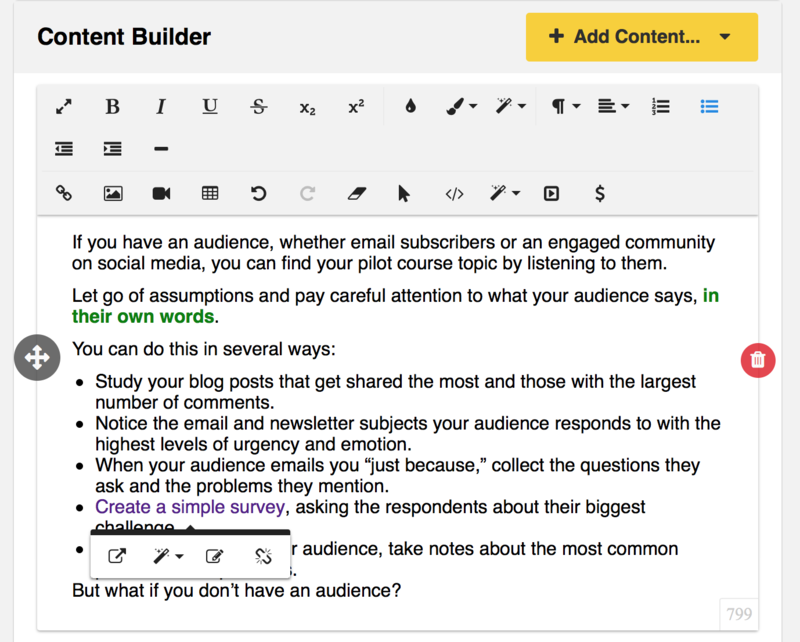 From the Content Builder page, you can upload a featured image for your lesson, embed a video (video must be hosted elsewhere, such as Vimeo or Wistia, and added here with a link), link to external web pages or resources, and upload PDFs, slideshows, or audio files for your students to download. 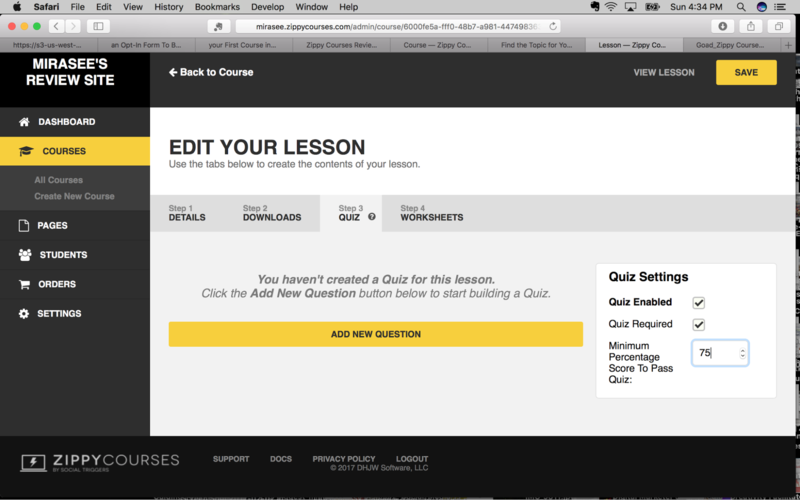 This is also the page where you can interact with your students by quickly and easily adding Quizzes and Worksheets. The Quiz function is not overly exciting, but it does allow you to require students to get a passing mark on the quiz with a percentage they can continue to the next lesson. 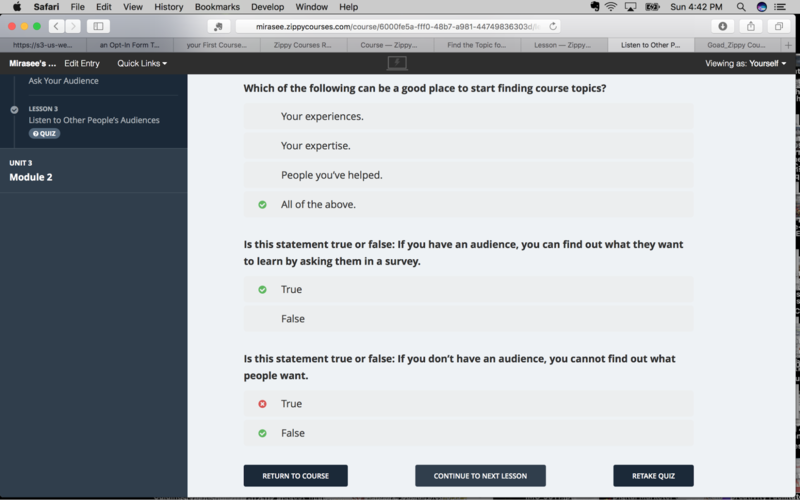 You can create a quiz of any length, composed of multiple choice and/or true/false questions. You mark the correct answer so the student’s results are tabulated as soon as they submit the quiz. 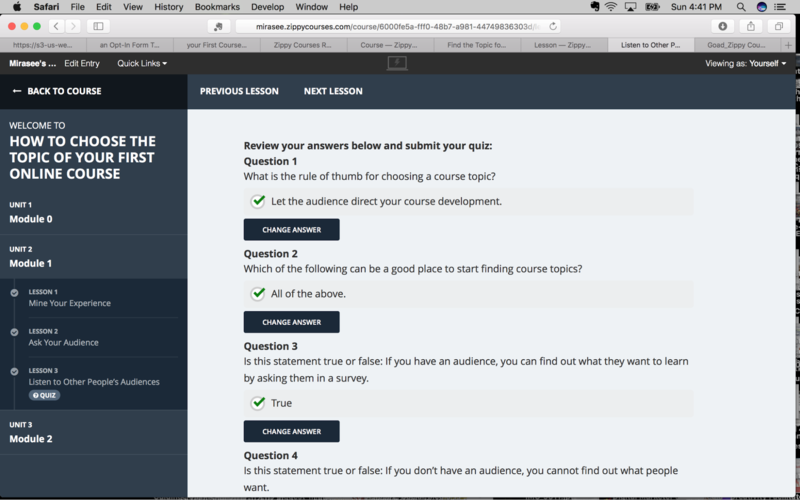 This is the student view that shows a quiz is available. And here’s the view of the quiz from the student’s perspective. Note the helpful progress bar at the top. 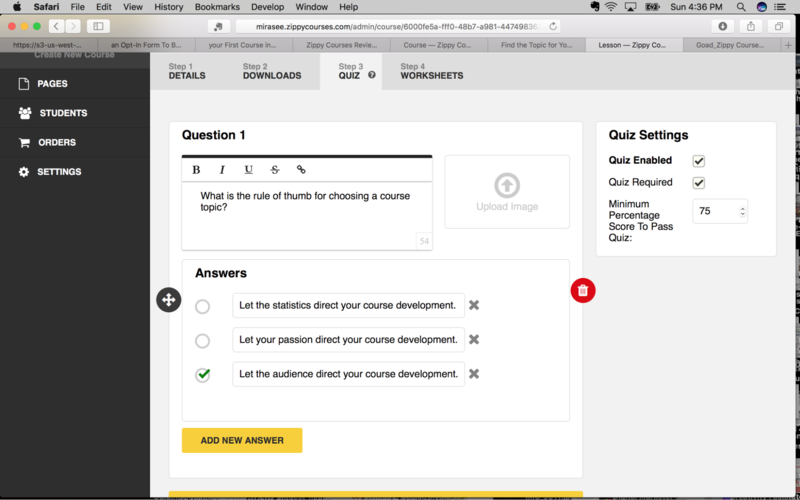 The platform also automatically places each question on its own page and creates direction buttons to allow a student to move forward and back through a quiz before submitting their final answers. When all the questions have been answered, the student has the ability to see all the questions and answers on a single page to review before submitting for grading—a nice bonus that I haven’t seen in any other course creation platforms I’ve reviewed. Once the quiz is submitted, the student instantly sees the correct answers, although there’s no opportunity for the instructor to provide any further explanation of why one answer was better than the others. If you aren’t blown away by the multiple choice quiz function, you might be more excited by the worksheet function. This is where you and your students interact more creatively with the course materials. The worksheet can become an extension of your teaching by including additional content via text, images, audio files, or video. And you can ask fill-in-the-blank or short-answer questions, as well as provide space for longer responses or essays. You can also create questions that are answered with the use of a drop-down menu, checkboxes, or a matrix (where responses are recorded on a scale, such as “On a scale of 1-5, how accurately does this statement describe you?”). You can choose to receive an email anytime a student uploads a worksheet, or you can review student worksheets and quiz results on their student profile page. Obviously, students will require input from the instructor on the accuracy or quality of the responses they provide on a worksheet and will not receive an automatic evaluation. Okay, so you’ve created your modules, lessons, quizzes, and worksheets, and now it’s time to set up the payment functions. This is where things get interesting with Zippy Courses! Set PayPal to “live” or “sandbox” (for testing without exchanging actual money). But it gets waaaay better than that: Zippy Courses allows you to create multiple pricing tiers for your course, create payment plans, and even monthly billing membership plans! For example, you could create a course that has 3 different tiers, each costing a different price and containing a unique set of content. 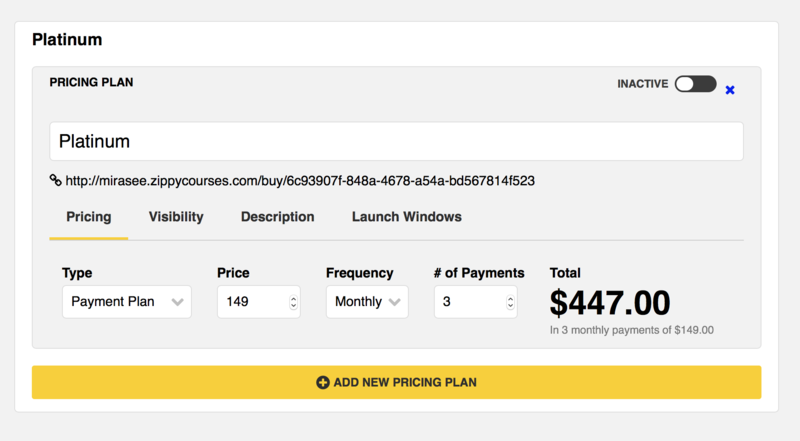 As you upload modules and materials, you can tell Zippy Courses which ones you want to associate with each pricing tier. 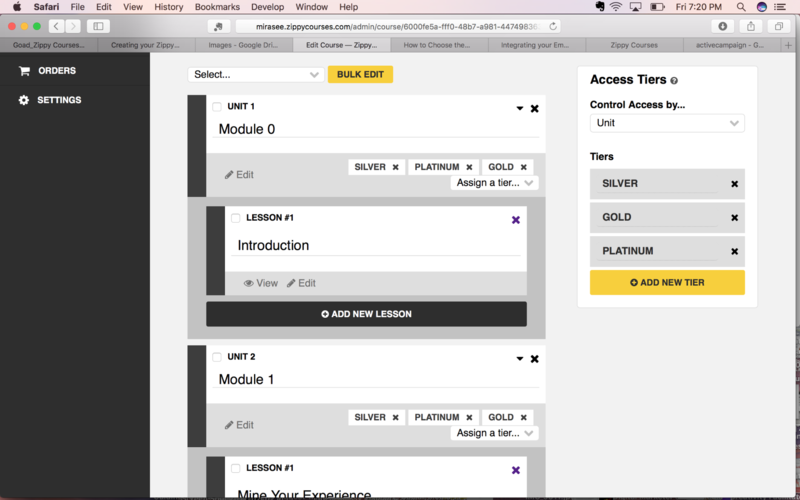 In the above example, perhaps the Silver tier comes with all 3 modules of the course, but the Gold tier comes with additional training videos, and the Platinum tier comes with everything in the Gold tier plus a downloadable e-book and a three-month trial membership in your monthly mastermind group. This screenshot shows how simple it is to create a different course package for each tier, just by choosing fields in a drop-down menu! 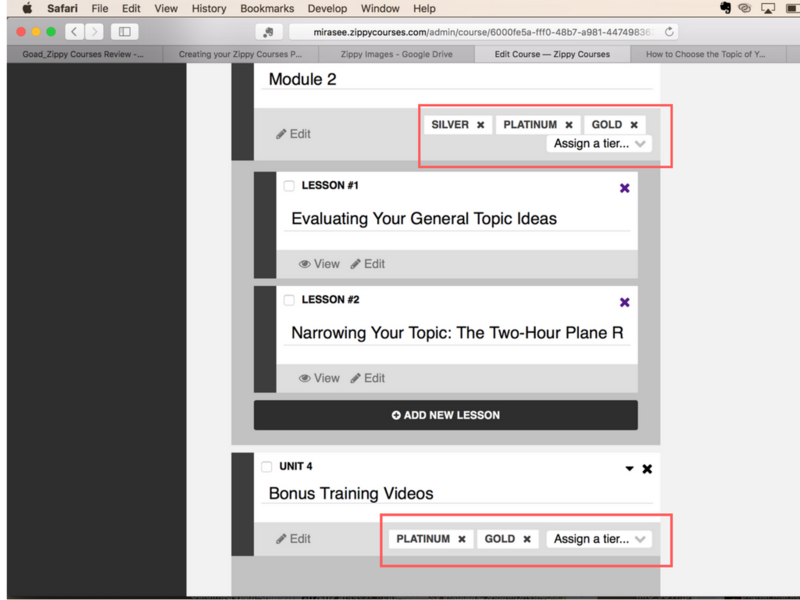 Here you can see that all 3 tiers have access to Module 2, but only Platinum and Gold tiers can access the Bonus Training Videos in Unit 4. As you set up each pricing tier, you also determine how much each tier costs, whether you accept only or monthly payments, or whether your course will operate as a monthly membership with new lessons added regularly. Still not enough options for you? You also have the option to add a Launch Window to one or all of your tiers, so the course enrollment opens and closes on specific dates. 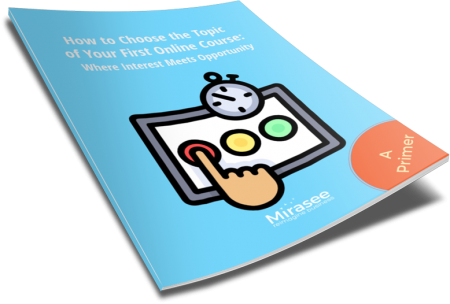 This can create a sense of urgency for your audience as they will want to get in before the window closes, potentially increasing your sales for the course. 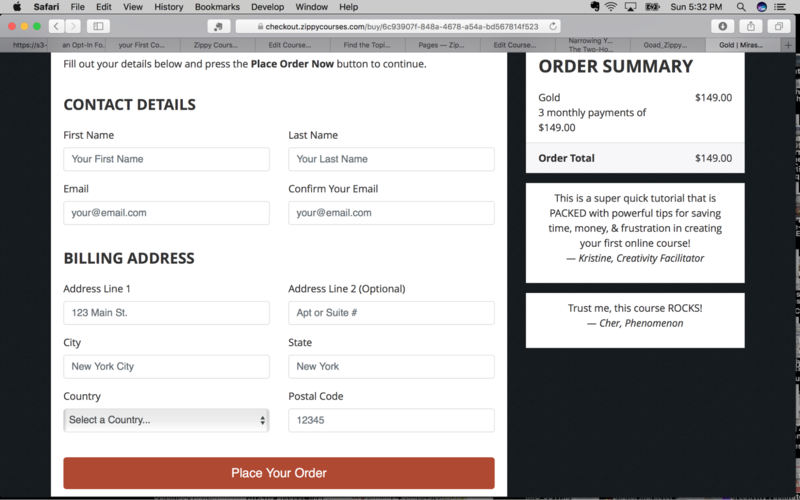 Here’s a screenshot of the pricing plan dashboard. You can see how painless it is to select your plan type (one-time payment, payment plan, or monthly), set your price and the number of months in the payment plan, and then open the Launch Windows tab to set open and close dates for enrollment. 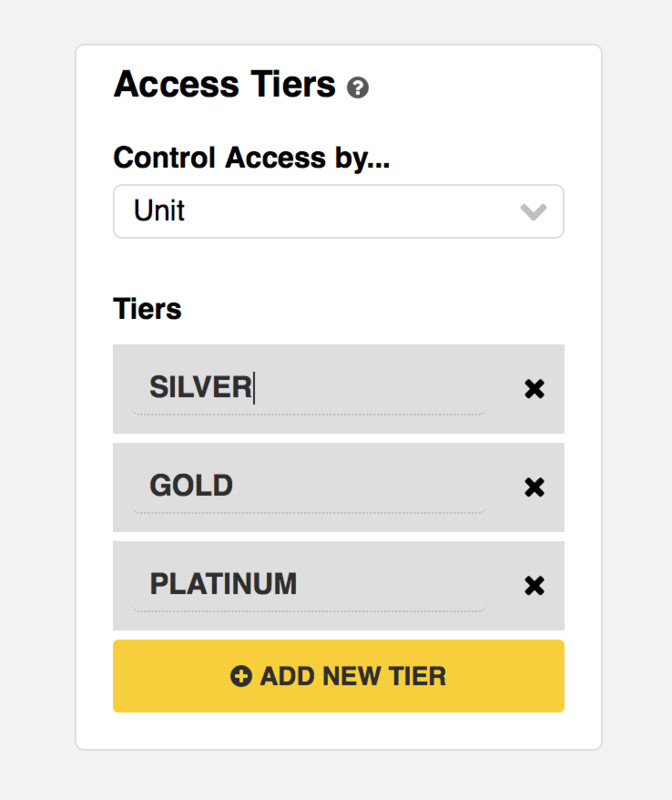 You can also set visibility, allowing you to create private tiers that you reserve for specific audiences (such as the ongoing monthly membership example above). Here’s a view of the billing page someone would see if they were ordering my Gold tier package. See how, on the right side, I added testimonials from satisfied customers to add social proof and encourage my audience to complete the sale. I had the option to upload photos of my testimonial givers, but I didn’t do that. If I had, the photos would appear next to the quoted text. Number of Courses and Students Unlimited Courses and Unlimited Students! Hosted by vendor (If so, what are the file size limits?) or do you need to host the files yourself (such as on AS3)? You can set up different pricing levels and choose which ones are visible to everyone via the course public page. To offer discounts or different payment options to select audiences, you would not make those pricing levels visible to the public, but would provide that audience with a direct link to the appropriate pricing level/payment structure. No homework can be uploaded to the course by students; however, the Worksheet feature allows an instructor to ask questions that are answered in the following field formats: short text, essay, dropdown menu, checkboxes, and matrix field (such as would be used for a rating scale). 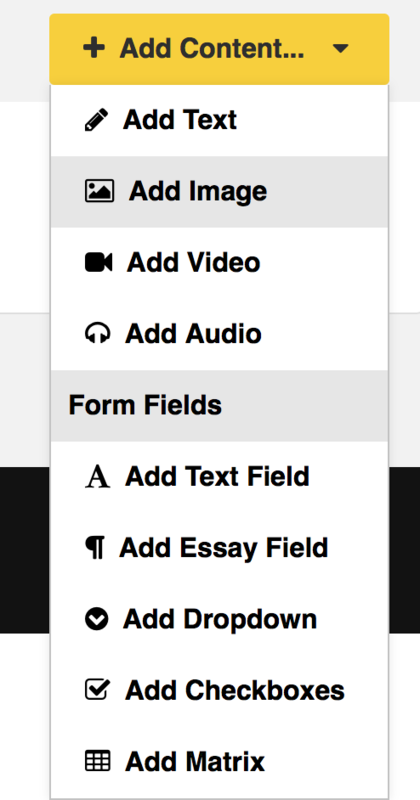 Students could provide links (in a text field question) to external assignments in any format (doc, PDF, image, video, audio, etc.) the instructor requests. I liked nearly everything about this platform, but my two favorite aspects are: 1) the professional appearance and user interface of the courses created with Zippy Courses, and 2) the ease and flexibility of creating multiple prices, payment options, and content tiers. 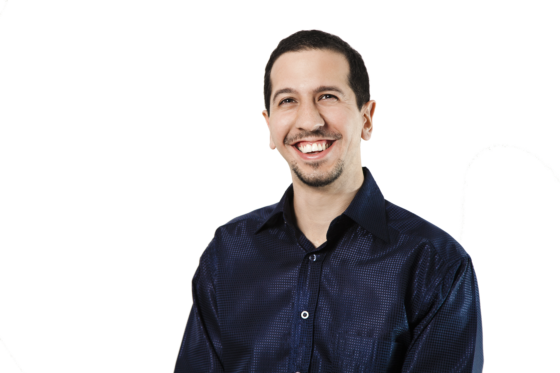 In some of my other reviews, I mentioned that a platform would grow with you as your skills improved—meaning you could start with a solid-looking course and get more creative as you learned how to use more online tools or plugin extensions. And that’s true here, too: your lessons, quizzes, and worksheets can get as fancy as you want as you get better at creating video or using infographic or quiz creation tools. But with the Zippy Courses standalone platform, you can create a professional-looking online course right out of the gate, so you don’t have to gain additional tech experience. Without additional skills or tools, you can build a business around online courses that looks and works great for years to come. And with the ability to so easily test pricing and content structures, you won’t get bogged down by replicating courses to offer different price points, update course content, or test the efficacy of new teaching methods. Zippy Courses really does fulfill its promise of solving the complete course-building puzzle. 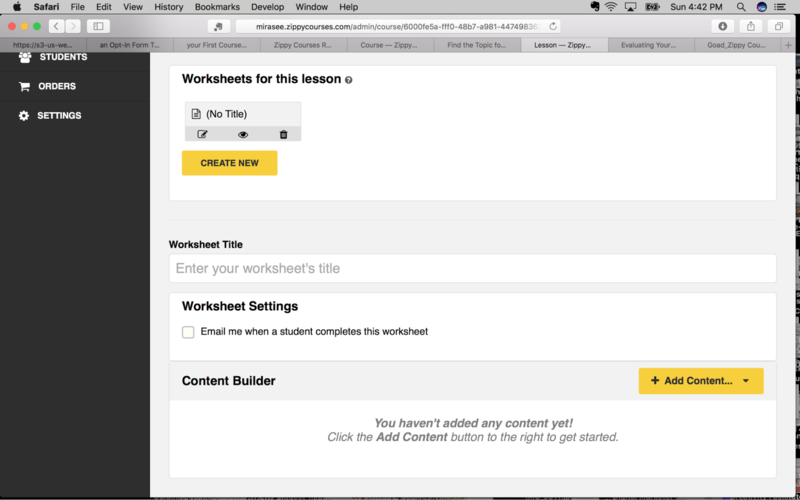 Creating modules and lessons is simple, and Zippy does a great job of making navigation through the course easy for students. However, when you’re creating your course, if you begin by naming all of the units and lessons to create an outline, as you add content to the lessons, you can’t see which lessons have content in them and which still need to be populated. Neither is it possible to see which lessons contain quizzes and worksheets from this view. As you finish adding content to one lesson, you don’t have a straightforward navigation path to move to the next. 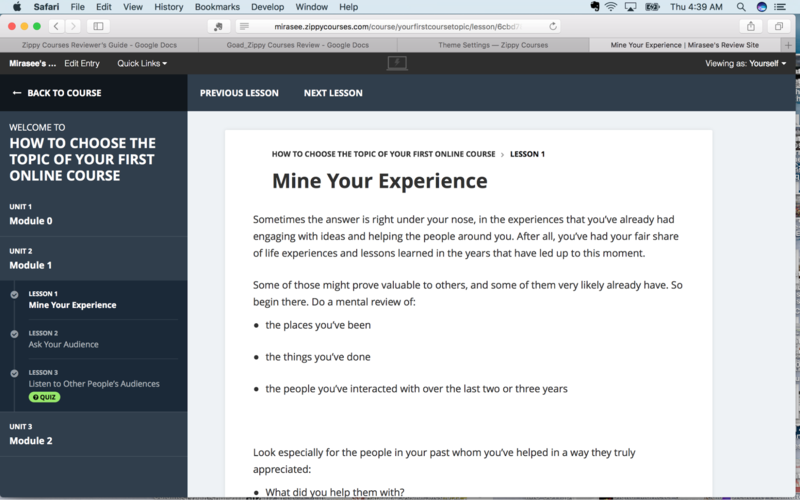 You have to go back to the page shown above, then click on the lesson where you want to add content. Zippy Courses offers generous file storage limits, but requires that all video be hosted somewhere else and embedded into lessons or worksheets. While the embedding process is simple, it would be nice if short videos could be uploaded directly to the Zippy Courses platform itself. You can send emails directly from the Zippy Courses platform. You can set those emails to go out at intervals based on the number of days since purchase (0 days to send a message on the day of purchase, 3 days after purchase, 14 days after purchase, etc. ), but you can’t have them go out on specific dates. If you were using a Launch Window for your course and were planning to have a group of students all begin the course on the same date (even though they may have purchased on different days), it would be nice to be able to set the messages to go out on specific calendar dates. None of these things are deal breakers for me, however, and I still highly recommend this platform. 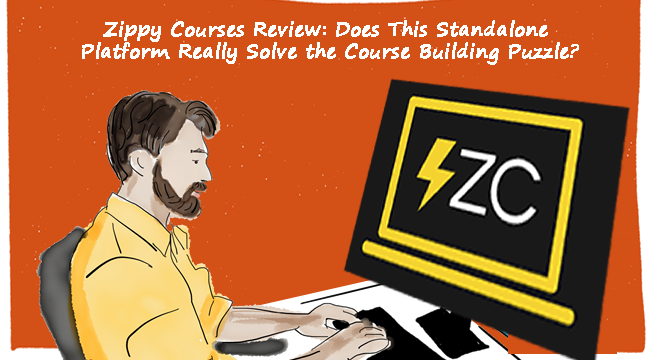 The Zippy Courses standalone platform would be a good choice for someone who wants to create a professional-looking, highly functional, online course quickly but doesn’t want to spend a lot of time mastering the tech side of things. Zippy Courses is also great for anyone who wants to easily change or test different versions of their course and experiment with price points, payment plans, and service level tiers. Choosing to use a standalone platform probably means spending more per year than if you used a WordPress plugin platform, but the ease of use, the quality of student experience, and the speed of integrating with payment merchants (including having the ability to create ongoing monthly memberships) and email providers may be worth the extra expense—especially if it saves you from having to hire someone else to create your courses. 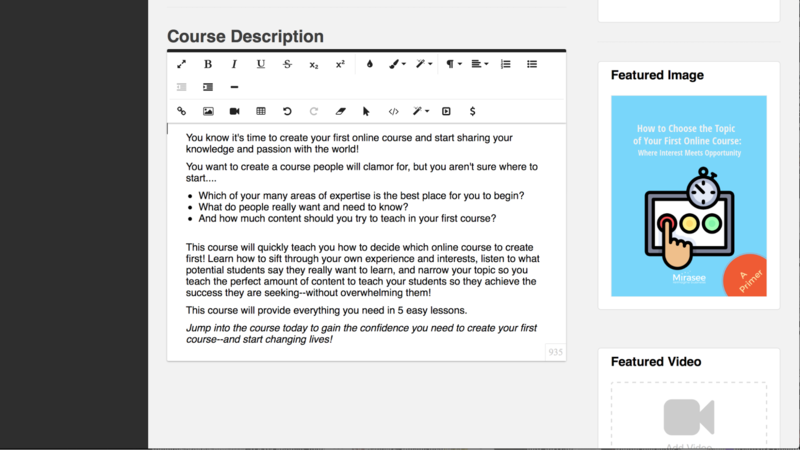 Create a course outline with the title of each unit and lesson and a list of downloadable resources you want to include. Create or curate the content for each lesson, including writing the text, creating videos, recording audios, selecting photos, writing quizzes and worksheets, or designing infographics (Remember: it doesn’t have to be fancy to be effective! Play to your strengths and don’t spend a lot of time learning new techniques in the beginning.). Decide where you will host videos (Vimeo, Wistia or somewhere else that doesn’t attach advertising to them) and upload videos to those sites, making note of their URLs. Decide which payment processor you will use (Stripe, PayPal, or InfusionSoft) and sign up for an account if you don’t have one yet. You may want to create a Sandbox account with your payment processor if you want to test your payment portal without exchanging actual currency. Decide whether you will create different payment options (single pay or payment plan), prices, or content tiers. If you will create multiple tiers, determine which content will be available in each tier and note that on the course outline you created. Choose a name and tagline for your course site and decide whether you will host it at a custom domain. If you will host it at a custom domain, register that domain. Decide what content you want on your site homepage. The Course Directory link at the top will automatically take people to view your course once it’s created. The homepage is a Welcome page where you can add text, video, and images to orient people to your site and direct them to your courses. Gather or create that content. Bookmark the Getting Started support documentation page for quick reference as you move through creating your course. The course creation process is intuitive, but if you want to be sure you’re making the most of what’s available, follow along with the “Creating your First Course in Zippy Courses” document. 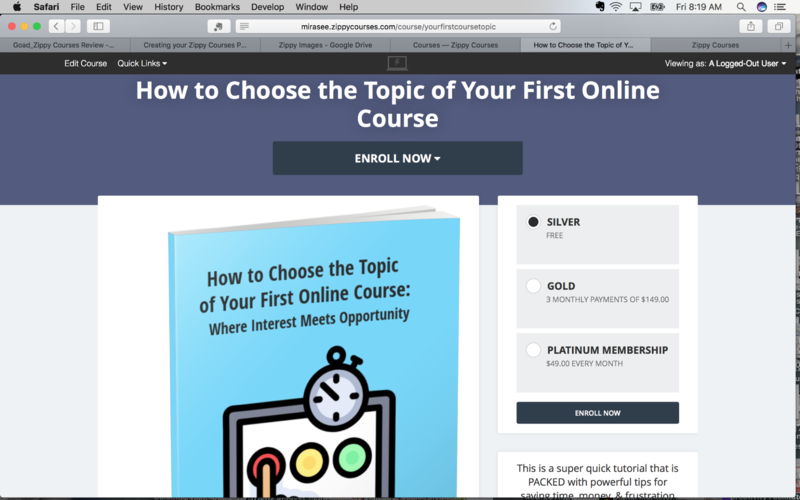 The Zippy Courses all-in-one is a powerful platform that delivers on its promise to help you create, sell, and run your online courses with one flexible, easy-to-use tool. A number of standalone platforms let you quickly create good looking courses that are comfortable for students to navigate, and Zippy Courses delivers on both of those. The ease of integration with a sales merchant and email provider are also big pluses in Zippy Course’s favor. However, it is the ease of creating pricing and payment options—and especially payment and content tiers—that really sets Zippy Courses apart. The ability to do these things might make the difference between adding a course to your business for some extra income and building a business around your courses. How important is it to you to be able to experiment with your course content, create different course packages (tiers), and test different price thresholds? Are you more of a set-it-and-forget-it (or, if-it-ain’t-broke-don’t-fix-it) course creator or are you a tinkerer? Kristine Goad founded the Big, Bold, Begin It! Project to help people get out of their own way and do the Big, Bold, Scary-Awesome things they came to this planet to do. If you’re tired of waiting for your “real life” to begin, join Kristine and a growing group of happiness- and success-minded people in The Big, Bold, Begin It Breakthrough community on Facebook and start making your biggest dreams happen NOW. Next Post » Redefining Success: What If Success Isn’t What You Thought It Was? 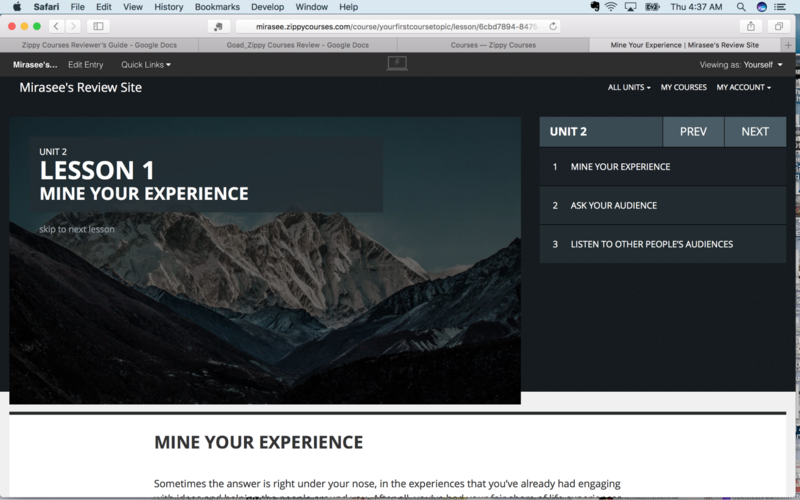 WP Courseware Review: Is It the Easiest WordPress Plugin for Creating Your Online Course? Is Ruzuku Really Ridiculously Easy Online Course Creation? I’m interested in using this program, but need adaptive equipment to use my computer. Do you know if this program is accessible by the screen reader, Jaws? Dear Barbara, I’m just seeing your comment here. 🙂 You’ll need to ask Zippy Courses about their platform. It’s hard to find their email address, but it’s support@zippycourses.com . I hope the answer is yes! If you don’t have an established email list to use will this hosting site in and of itself generate interest to bring potential customers to you through the zippy courses platform or do you need to market outside of being listed there in order to generate customers?